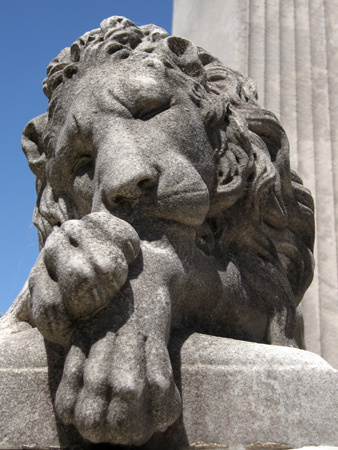 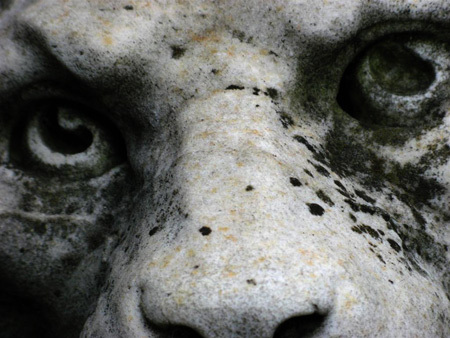 Bravery & strength are character traits commonly identified with lions. 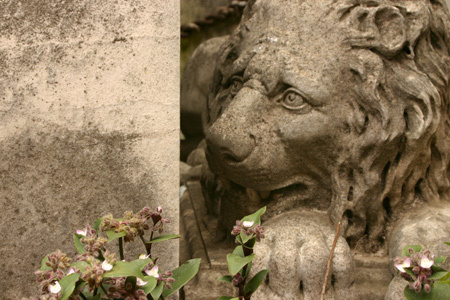 Used historically to decorate coats-of-arms of several royal families, even pop culture praises lion-like qualities in “The Wizard of Oz” & “The Lion King.” What better animal to protect loved ones during difficult times? 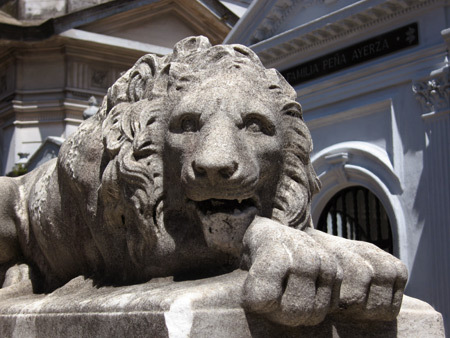 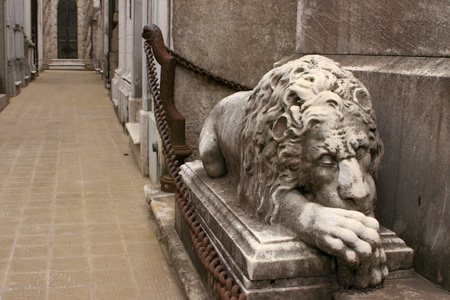 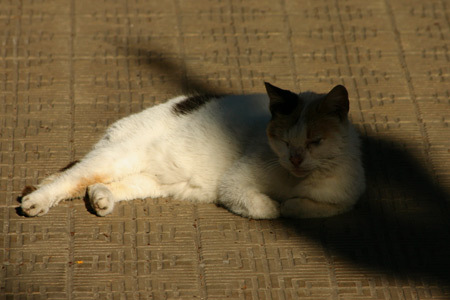 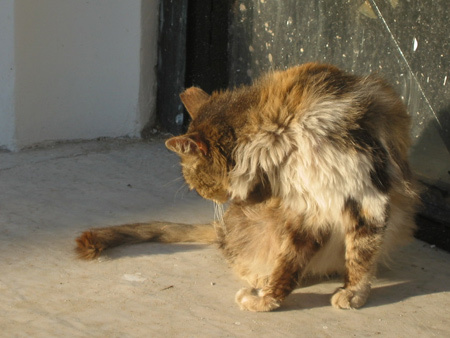 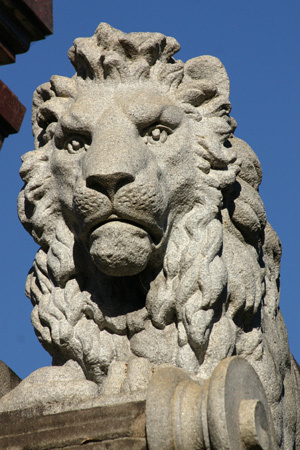 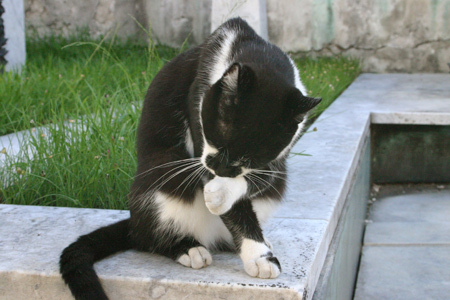 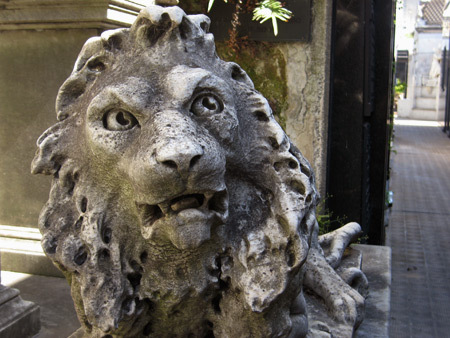 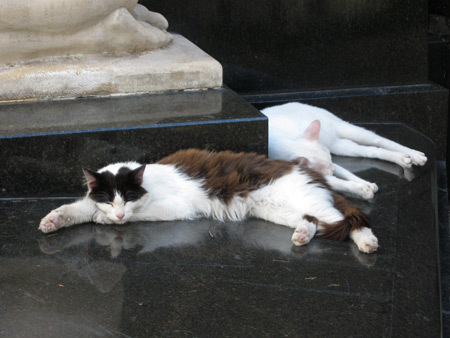 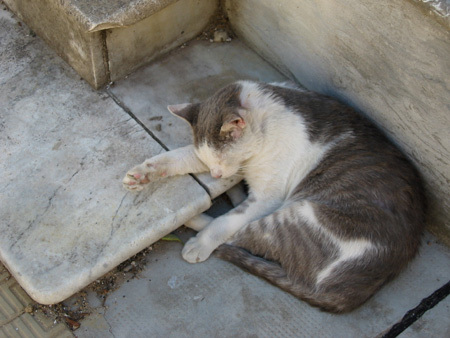 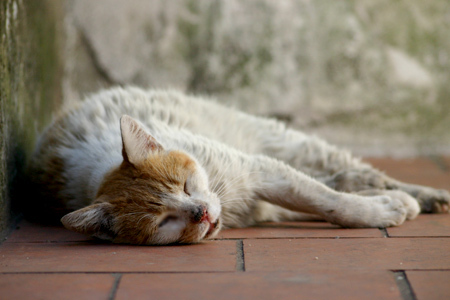 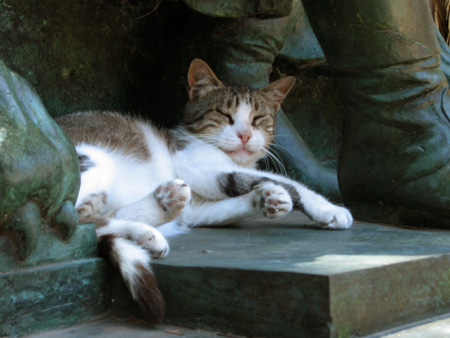 A few large felines blend in with their domesticated relatives in Recoleta Cemetery.